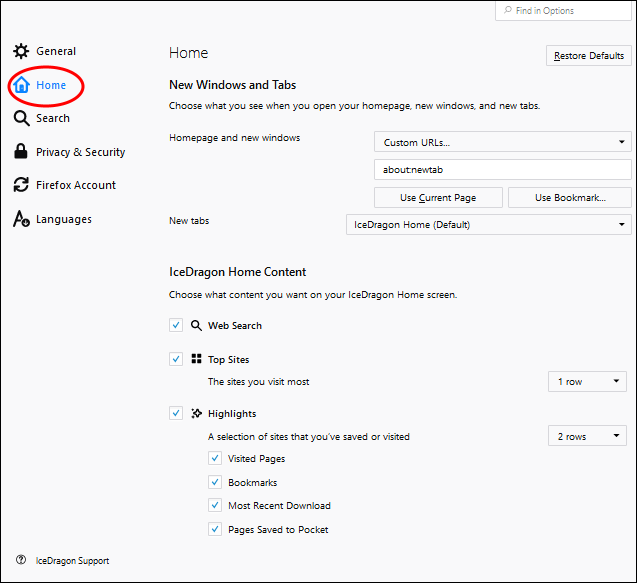 You can configure IceDragon to open at a specific page, or open a set of pages at startup. Select 'Options' > 'Home' on the left. Home page and new windows – Specify the URLs you want to open at Ice Dragon startup. See 'Configure Home page' if you want more help with this. 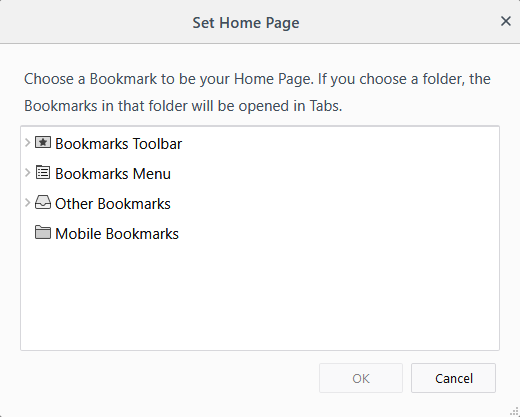 New Tabs – Specify the page you want to see when you open a new tab. By default, this is the Ice Dragon home page. You can also set your home page by dragging favicon onto the 'Home' button. The favicon is the icon on the left of the website address bar. Select your favorite page from the list and click 'OK'. Click 'Restore Defaults' on the top-left.